Got a lot of love on this look on the gram, so I decided to add it to the blog along with some shopping links. Sometimes a casual slay is the best slay. 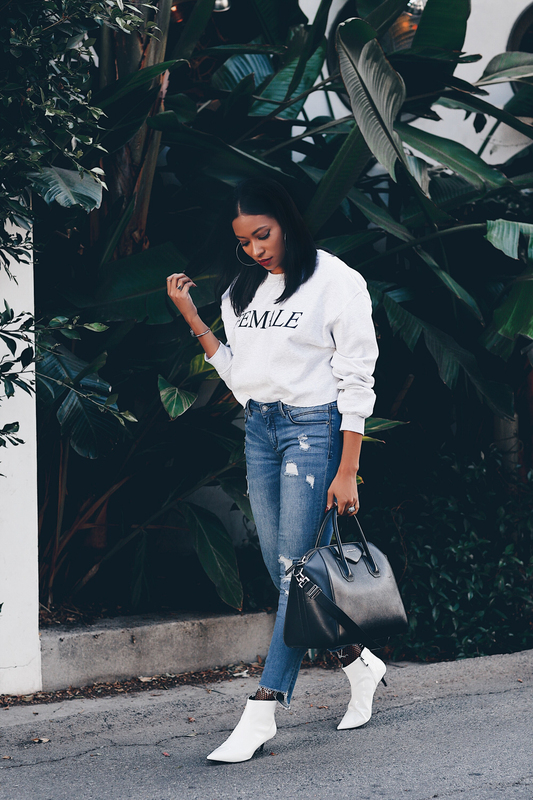 Love, love, love this FEMALE sweatshirt from Missguided via Nordstrom. Feminist fashion Tee’s and sweatshirts have become extremely popular in the past couple years and I couldn’t be happier and more empowered. 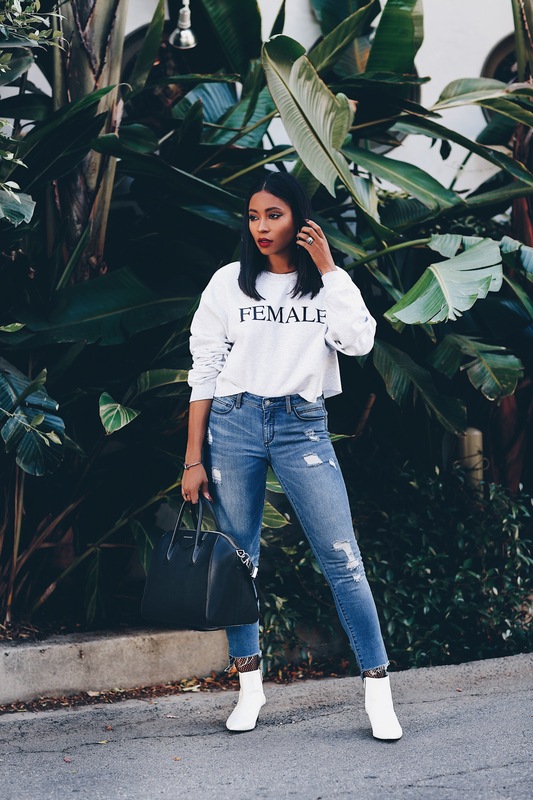 I love this trend, I love the movement and duh… we should all be feminist!